Finally, after many, many, MANY trips to Okinawa, and after staying in 11 hotels altogether (one of which I think used to be a whore house), finally we’ve figured out the absolute, for sure, BEST place to stay in Okinawa. Best as in I could have stayed there forever. Best as in I could have just lived there, permanently. It’s called AJ Resort, and it’s located on Ikei-jima (ee-kay-ee jee-ma), or Ikei-Island, off the eastern coast of Okinawa, connected by a series of lovely, scenic bridges. About a 90-minute drive from Naha Airport, it is truly worth the trip. Surrounded by nothing but farm land and sugar cane fields, AJ Resort is a remote getaway tucked away at the very tip of Ikei Island, far away from pretty much everything. But because of its remoteness, the hotel goes above and beyond to cater to the happiness of its guests. After all, how many hotels can put a tick next to the following check list? Yes, this was without a doubt the best place we’ve ever stayed in Okinawa. The sea breeze that blows in from the waves that crash on the nearby reefs filled our lungs with much-needed warm, salty oxygen. The food was incredible, the cottage rooms were just huge, and the open air roof top hot tubs were the absolute best way to end the day. The green grass surrounds you, and there are walking paths that go all around the coastline, so you can look out at the horizon and watch the waves crashing. The only downside was that we were there in the winter time, when the ocean was too cold to swim, because I sure would have loved to jump in that pristine blue sea. But other than that, this hotel gets a 10 out of 10, absolute gold star, two thumbs up, all the way. If you are travelling with kids, I can’t recommend this place enough. The playgrounds are great and the petting zoo is a nice touch too. There are a lot of things to keep little ones occupied and entertained. And if it’s raining, they even have an indoor playroom! What more could you ask for? It’s a bit of a drive out there, and there are no restaurants nearby, unless you are willing to drive over 30 minutes to the nearest town for food, so I’d recommend taking the half board (breakfast and dinner). We managed to find our own lunch during the day, while driving around. Next post, I’ll put a bunch of pictures of things to do around Ikei-jima. 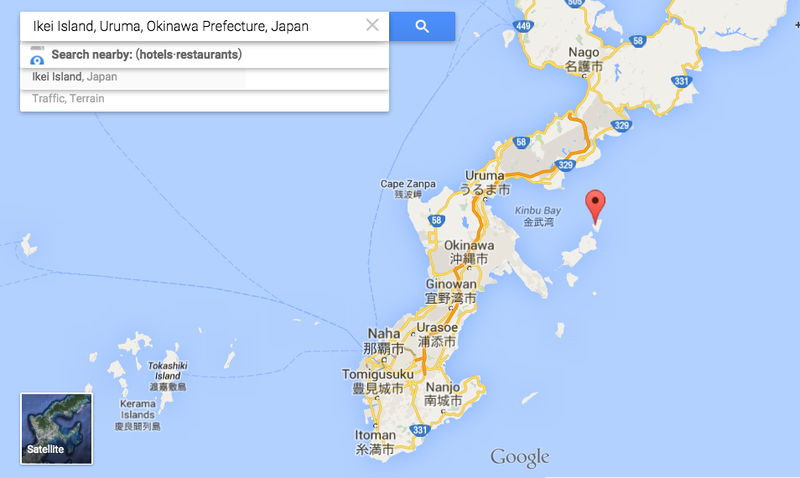 But be careful…… if you visit AJ Resort, you just might find yourself dreaming about moving to Okinawa to live! I know I sure am….. Previous Post Kung Hei Fat Choi! Oh! It sounds like a wonderful place to visit and relax. Of course just gazing at the ocean is so settling. Loved L’s scinched up nose of joy when with S. So glad I decided to check out the blog. Forgot, what type of snakes are there? And, now I know I need to make rice for breakfast, too. Right? I read this post after your bento post, so sorry for delayed message, but this looks amazing!